and the region for businesses, entrepreneurs, and communities. On April 10, Chilton High School became the central hub for career and job preparation in Calumet County. Nearly 600 high school students from Brillion, Chilton, Hilbert, New Holstein, and Stockbridge attended the event. 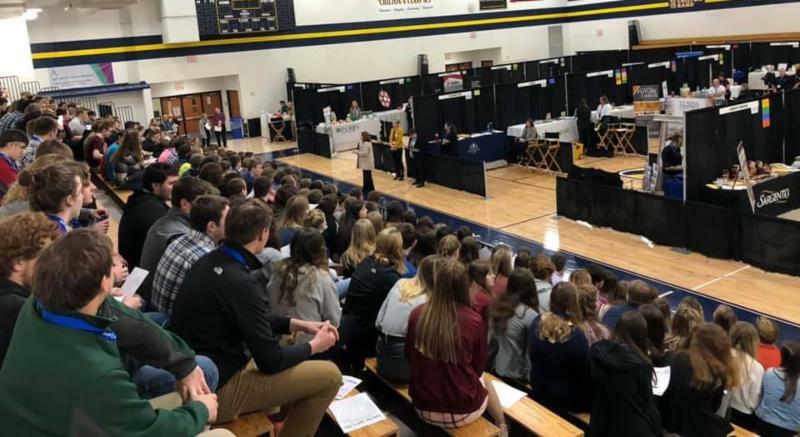 Students met with 52 employers and organizations from Calumet County and the broader northeast Wisconsin region during a 30-minute career fair. Feedback from both the business participants and students was overwhelmingly positive. Several dozen students anecdotally reported getting potential full-time job offers after graduation, as well as part-time summer job offers. Local businesses in particular indicated their satisfaction with being able to connect with local students who likely drive past their businesses every day and had never considered the businesses as potential employers. Students also attended two 30-minute self-selected workshops. 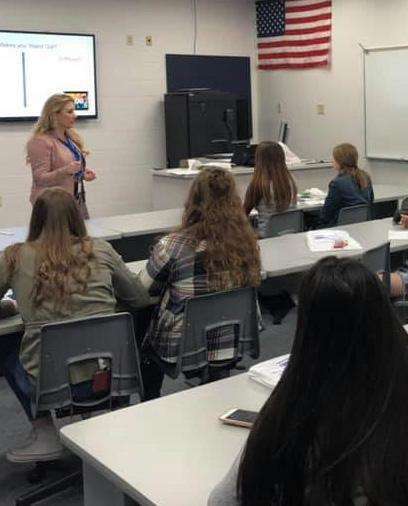 Sophomores learned about various career choices, while seniors attended workshops that helped them consider how to successfully approach their continuing education or enter the workforce after graduation. The workshops were taught by a variety of professional practitioners and educators from throughout the region. Following the student Career Fair, a two-hour Job Fair was held for the public. Attendance was fairly lackluster, likely the result of low unemployment in the region. Numerous businesses and branches of the military who routinely attend other career and job fairs indicated this was the best career fair they had ever attended. That level of vendor satisfaction can be attributed to the phenomenal team that organized the event, including Calumet County Economic Development, CESA 6, Fox Valley Workforce Development Board, and Chilton High School. Hundreds of students from local high schools listen to the Career Fair introduction. 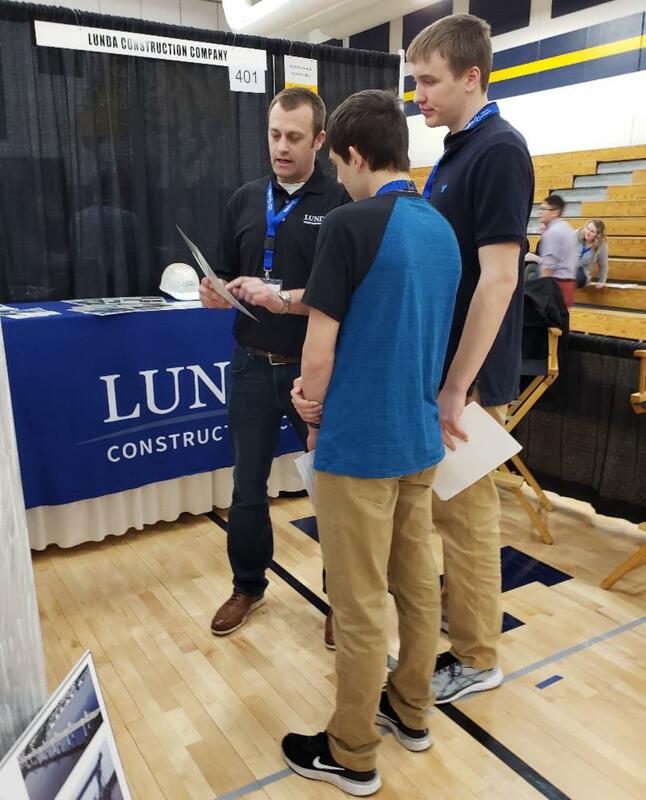 Mike Hahn, Lunda Construction, engages with interested students. 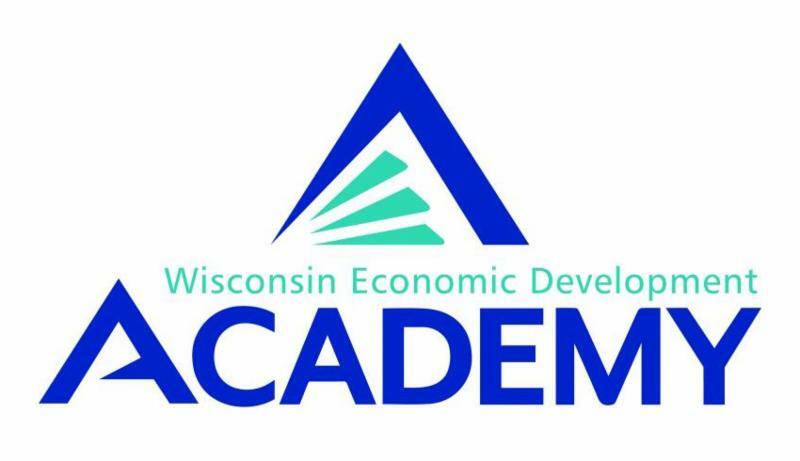 T he Wisconsin Economic Development Academy is offering a webinar from 1:30-3:00 pm on Tuesday, April 30, 2019, to provide a basic framework and understanding of TIF based upon the latest statutory changes and industry practices. After completing this course, participants should be able to understand what TIF is, how it can benefit their communities, and how they can start using TIF in their communities. SCORE has created another of their popular Infographics that provide useful information for small businesses. This one addresses search engine optimization – SEO. 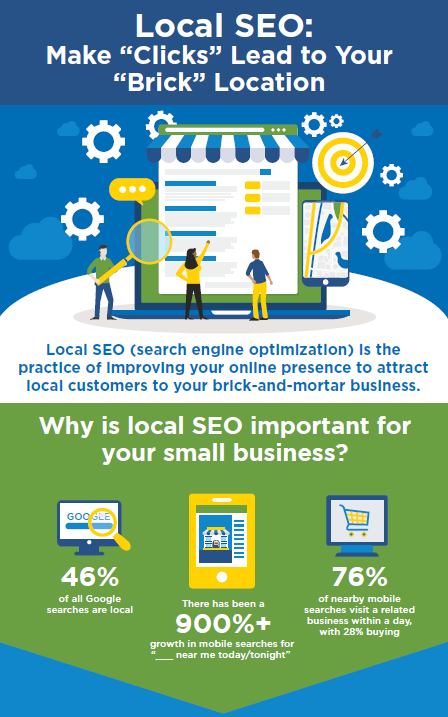 Local SEO is the practice of improving your online presence to attract local customers to your brick-and-mortar business. To succeed in your community, small businesses should learn basic local SEO practices. Why is this such a big deal? SCORE research shows there has been over a 900% growth in mobile device searches for “_____ near me today/tonight,” and 76% of nearby mobile searches visit a related business within a day with 28% of those buying. An online version of SCORE’s Infographic is available here . 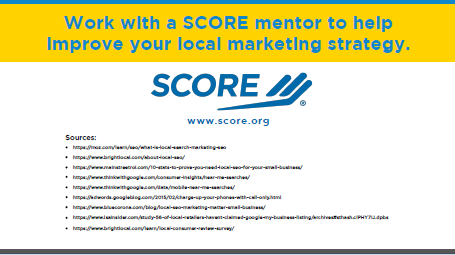 SCORE has free recorded webinars to help learn more about SEO. Get information about the webinars and read more about SEO here. To help support female small business owners in the Appleton-Fox Cities-area, CAP Services in collaboration with Mid-Day Women’s Alliance, announce their annual Fox Cities Women’s Entrepreneurship Grant Program (FCWEGP). This program, through a competitive application process, will provide one local female business owner with a $2,000 grant and over $2,500 in business coaching services and networking opportunities each year. Application Deadline: Midnight, Thursday, April 25. Grant information and applications are available at capservices.org/event/fcwegp. If you are a female business owner, please consider applying. Last year's winner was a home-based business located in Calumet County when she applied and soon relocated her growing business to a newly renovated space in downtown Kaukauna. In June 2019, the Wisconsin Economic Development Corporation (WEDC) will lead a global trade venture to France and the UK, with segments in Paris, London, and Birmingham. Wisconsin exporters seeking to enter these markets or grow their exports in these markets are encouraged to attend this global trade venture. Given the strengths of Wisconsin and the target countries, companies that make innovative production equipment and components, safety and security products, renewable energy or energy-efficient products, medical and scientific devices, or aviation components are especially encouraged to consider attending. There’s still time to sign up to take advantage of this trade venture. The Robert Wood Johnson Foundation released its 2019 County Health Rankings March 19. 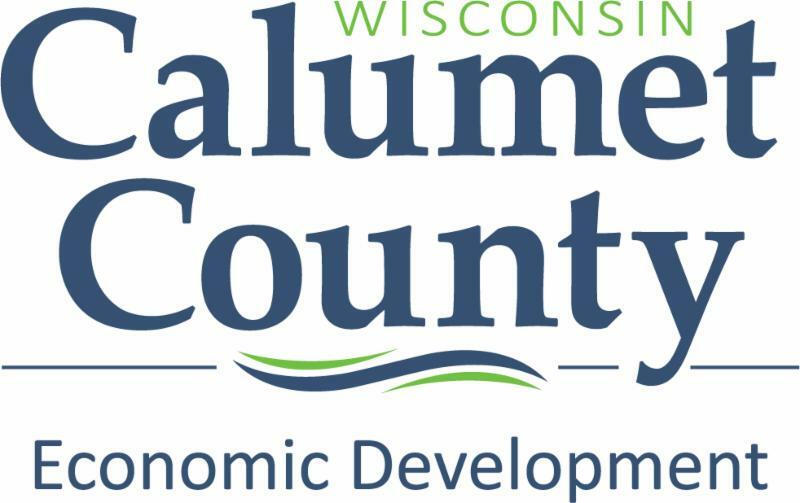 Calumet County ranks 5 th in Wisconsin for overall health rankings and overall health outcomes, which places the county ahead of all other New North region counties. Healthy people are an important contributor to a healthy economy. The rankings use state and national data to compare U.S. counties on more than 30 measures across four areas: health behaviors, clinical care, physical environment, and social and env ironmental factors. The list ranks counties in all 50 states based on their performance on these health measures relative to the health of other counties in each state. The County Health Rankings & Roadmaps program is a collaboration between the Robert Wood Johnson Foundation and the University of Wisconsin Population Health Institute . 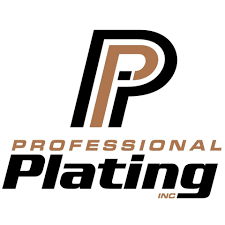 Professional Plating Inc. (PPI) has been named one of the best finishing shops in North America for 2019, according to an industry benchmarking survey conducted by Products Finishing magazine, a trade publication that has covered the industry since 1938. The magazine conducted an extensive benchmarking survey that analyzed hundreds of finishing companies in several different areas, including current finishing technology, finishing practices and performances, business strategies and performances, and training and human resources. Only the top 50 shops were given the honor of being a Products Finishing magazine ‘Top Shop’ for 2019 based on a scoring matrix in those four criteria. Lakeview RV Park and Cabins was purchased by Mike and Carol Leitner in 2018. The new owners have made numerous improvements to the 52-acre campground. Among the improvements are the construction of four cabins and improvements to the newly named Lakeview Sunset Café, which features real Texas BBQ. For more information about Lakeview RV Park and Cabins, contact the owners. When the county’s Brillion Iron Works closed in 2016, it dealt a major blow to its namesake community. 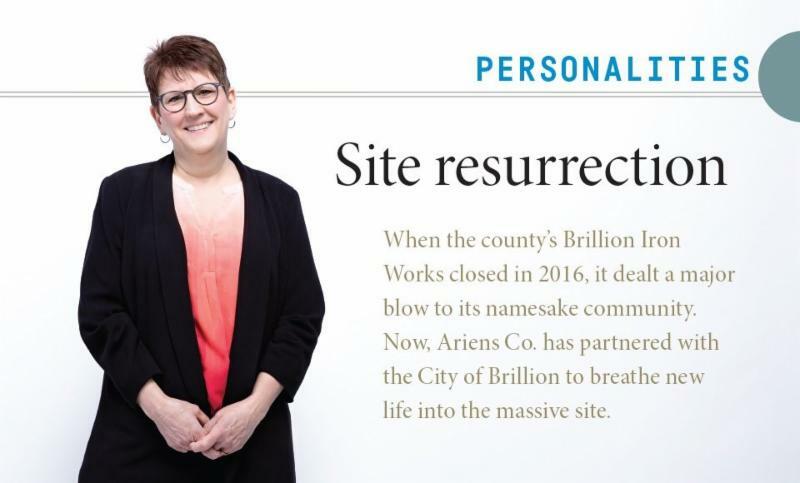 Now, Ariens Co. has partnered with the City of Brillion to breathe new life into the massive site. When talking about your business, confidence is key! You will learn the importance of an elevator pitch and how to create and evaluate your own. 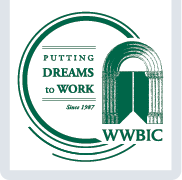 Sponsored by WWBIC at the Kaukauna Public Library, 6:00-7:30 pm, April 16. Learn strategies to enhance oral interaction critical to productive discourse. Participants will also learn about their own styles and others and how to make them work together in the workplace. A logical, analytical approach to refocusing and re-centering the team, this course focuses on the way that people view others and the collective work of the team. Explore the functions available in Microsoft Excel 2016 and learn how to create formulas to enhance your worksheets. Create Tables, PivotTables, and PivotCharts and learn how they can be an effective summary and visual communication tool as well. The complimentary “Explore Starting a Business” session provides a look inside at what it takes to launch a startup and small business. Explore key factors in starting and growing a business. Begin to determine if you have a feasible idea, learn about critical questions to consider, and additional entrepreneurship training opportunities. Whether you are looking to turn your side hustle into a full-time gig, grow your small business, or scale a startup, this session will help you understand your next steps. Many dates are available around the region. Get more details and register here. The closest session is on May 8 at 4:30 pm at the Fox Valley Technical College Venture Center in Appleton. Learn to analyze business opportunities, assess financial risks and communicate your ideas to others. In this workshop, you will learn basic financial management skills every businessperson should know. Topics will cover the three major financial statements, sources and uses of cash, cash budgeting, break even analysis and an introduction to financial ratios. Emphasis is placed on the practical uses of financial information as a diagnostic tool to understand a company’s health. Using real-life examples and exercises, participants will learn simple and necessary skills they can immediately apply to their workplace. Once a month, a counselor with the Green Bay Small Business Development Center meets with entrepreneurs and existing business owners at the Calumet County Courthouse in Chilton; he is also available to meet with Calumet County entrepreneurs and businesses on a periodic basis at other locations in the county or his office as schedules permit. These free, individual business counseling sessions are held to help answer questions and put businesses and entrepreneurs in a better position to make the best decisions for themselves and their businesses. ﻿To schedule an appointment with the business counselor, contac t Mary Kohrell using the information provided below. The next regularly scheduled session will be held on Tuesday, May 21. Please forward to others you think would benefit from this newsletter. Want to get on the mailing list? Sign up here . If you receive a forwarded copy of this newsletter and no longer want to receive it, please contact the person who e-mailed the newsletter and ask to be removed from their list; do not use the unsubscribe feature.